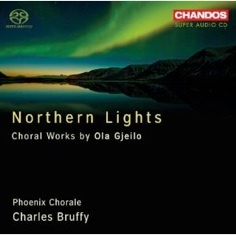 Winter Songs is the third album I’ve reviewed by Ola Gjeilo and the first of his choral works that I’ve heard. This album is a beautiful collection five arrangements of traditional holiday songs as well as ten original pieces performed by the Choir of Royal Holloway, the string group 12 Ensemble, and Gjeilo on piano; the performance was conducted by Rupert Gough. Festive and sweeping, this is a holiday album that will brighten any holiday season while honoring the peace and spiritual side of Christmas. 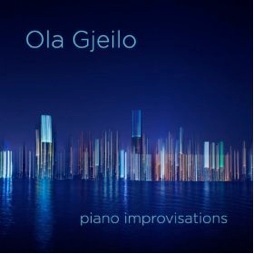 Ola Gjeilo was born and raised in Norway, and started playing the piano when he was five. He did his undergraduate studies at the Norwegian Academy of Music, transferred to Juilliard and then to the Royal College of Music in London, where he received his bachelor’s degree in composition. 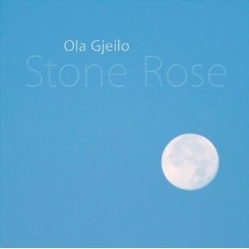 Gjeilo then returned to Juilliard and earned his master’s degree in 2006, also in composition. He currently lives and works in New York as a full-time composer. I really like all of the music on this album, especially the originals, but my favorites are those that feature Gjeilo at the piano. The sound is full and rich and the dynamics are exceptional. This isn’t a criticism at all - just a heads up: I listened to Winter Songs in the car several times and because the sound isn’t compressed much, I had to keep adjusting the volume on my player. The volume changes aren’t as noticeable on my home speakers. I prefer a wider range of dynamics than most recordings offer, as the sound is much more natural and “live,” but in the car, the soft tones can be too quiet and the louder passages can be a little startling. Winter Songs is an elegant and uplifting album that can be appropriate any time of the year - especially Gjeilo’s original compositions. The traditional Christmas songs that are included are “The First Nowell,” “The Holly and the Ivy,” “Away In a Manger,” “The Coventry Carol,” and “Silent Night.” Classical in scope, this is an album that should be immediately accessible to most listeners - even those who think they don’t like classical music! Winter Songs is available from Amazon and iTunes. Very highly recommended!